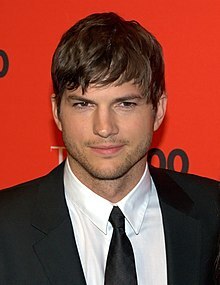 Ashton Kutcher, the first man to have a million followers on twitter is taking a break, not because he is “over it” or moving on, but because of a massive mistake he made tweeting how annoyed he was about a Penn State football coach being fired, before finding out that the coach wasnt fired because of his age or performance, but because he was aware of a staff member being engaged in child abuse & did nothing about it. As soon as Kutcher found out he tweeted an apology & noted that the dismissal was entirely appropriate, but it was all too late. His instant media hit an instant chord with millions of followers & also with the press. As we hardwire ourselves into 24/7-365 access, are we unwiring our filters? Where once upon a time, the passage of time between writing a letter & posting it the next day would be enough to rethink if we should send it, now you press the send button and it is gone, it’s out there, you’re on record! I wonder if anyone’s ever thought of creating a 30 minute “filter” for instant communication. You write something, press send, and it waits half an hour before committing your thoughts to the world (allowing, of course, for an override for important stuff). Do we maybe need to set our own filters in life? Have you ever received good advice for how you might filter what you say?